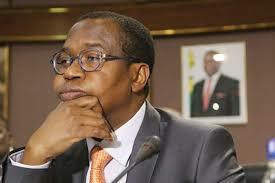 Painful shocks from ongoing economic reforms will substantially subside after six months, as the period prior coincides with the implementation of most interventions Government is instituting to stabilise the economy, Finance and Economic Development Minister Mthuli Ncube has said. Government has been criticised over some of its painful but necessary economic reforms, part of which are austerity measures being implemented through the 2019 National Budget. Minister Ncube yesterday said that Zimbabwe would inevitably experience significant economic turbulence, as the Government rolls out interventions to stabilise the economy. Addressing students of the National Defence Course-Intake 7 of 2018 at the Zimbabwe National Defense University in Mazowe, Minister Mthuli said there will be increased turbulence from ongoing reforms over the next six to eight months. “Reforms are continuing, but what happens is that over the next six months we are carrying out more reforms and will achieve quite a bit, so obviously after six months then we have less reforms and towards end of year, even less reforms. “So we are doing more now and less as we go forward, but it does not mean reforms are finished we will still carry out more, for instance privatisation takes a while so it always carries on, but certainly on the macro-economic front, we should have made quite a bit of progress,” he said. Since November 2018, Government has consistently achieved surpluses on its income and expenditure accounts while Treasury is beginning to see surpluses on the current account. Government received a lot of stick from critics who labeled it insensitive to the plight of hard pressed citizens when it introduced the intermediated money transfer tax to net in the informal sector, which had not been paying taxes. Recently, the opposition MDC Alliance and its sympathizers — Zimbabwe Congress of Trade Unions (ZCTU) and civic society, coalesced around high fuel prices — after Government adjusted the prices to stem arbitrage opportunities, staging a violent and bloody mass stay away. A directive by the Reserve Bank last year for banks to separate real time gross settlement (RTGS) accounts and foreign currency accounts (FCA) was also misinterpreted by the market, resulting in exchange rate rampage on the black market. Illegal currency trading then ignited a series of prices spiral, with prices of goods and services now tracking parallel markets exchange rates of foreign currency, especially the US dollar. Minister Ncube said this country may not be able to achieve prosperity without paying the price through hard and painful measures, but necessary economic interventions to be implemented come over the next few months to a year. He said that reform interventions will be guided by Transitional Stabilisation Programme (October 2018 – December 2020) launched in October 2018, which provides an initial stepping stone towards realising Vision 2030. President Mnangagwa has pronounced his Vision 2030, which entails transforming Zimbabwe into an upper middle class country with per capita income of US$3 500 per year. The TSP is a precursor to other upcoming two five-year National Development Plans that, the first one being over the period 2021-2025 and the second plan over 2026-2030. The over-arching policy thrust of the TSP is to stabilise the macro-economy and the financial sector through policy and institutional reforms, geared towards laying a foundation for Triple S Growth – Strong, Sustained and Shared. Minister Ncube said the 2019 national budget, which he themed “Austerity for Prosperity” provided the initial macro-fiscal financial framework for the implementation of the Transitional Stabilisation Programme. The 2019 budget projected a 3,1 percent growth this year, slightly slower than the 4 percent growth estimated to have been achieved last year. Economic growth this year is expected to be negatively affected by the late onset of the rains. Specific interventions in the 2019 budget centre around the dealing with fiscal indiscipline, removal of pricing and policy distortions, improving foreign currency generation and establishing efficient market based mechanisms for allocation.